Are your customers lasting? . . . or leaving? We all talk a lot about customer service; we know it is the most important element of creating a successful, thriving business. Your reputation is based on your service quality, yet often times we are just paying lip service. Knowing it and actually doing something to improve it are two different things. You know keeping current customers is cheaper than recruiting new customers. Do you know that word of mouth is the best way to build your business? That people form a first impression within seven seconds? That your customers don’t care what you know, until they know you care? That customers are willing to drive further and pay more for better customer service? But, where to start? We will help you! In Need Change? 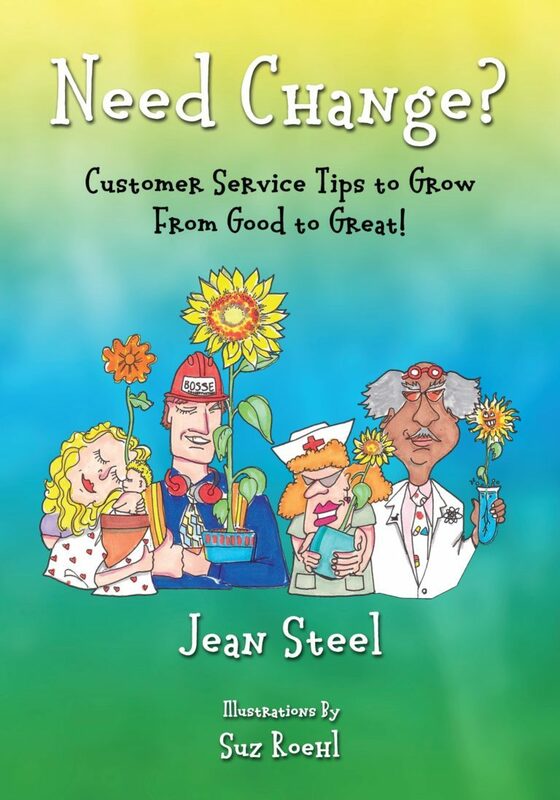 Customer Service Tips to Grow from Good to Great, Steel digs deep into her 25 years as a wellness expert, writer, teacher, and speaker to create the ultimate “go-to” handbook for customer service. In 31 short and hilariously illustrated chapters, you’ll meet The Illogical, The Difficult, The Out-of-Control, and The Internal Customer. You’ll practice the lost art of listening and explore the quiet-but-potentially-ruinous world of nonverbal communication. And you’ll learn about the undeniable power of Social Media in this daunting digital age. Join us for a fun-filled day (yes, you read that right!) and leave with tools to help your business grow from good to GREAT! Lunch, Certificate of Completion, a copy of Jean’s “Need Change?” book, and handouts are included. Happy People Win’s Mystery Shop program offers clients a non-biased overview of their general customer service, complete sales process, or overall experience of product or service. With the ability to gather the necessary information discreetly from multiple mediums, we offer reports with strategic suggestions to improve the customer experience and short-term and long-term success. Give your company the benefits of Jean’s trainings without the travel, expense and logistical issues of attending a live workshop. Have us create a personalized video specifically for you – your business and your needs. Yours to own, available for you to show current and future employees. Achieving excellent customer service is a multi-faceted project, as is the manner Happy People Win can train you and your team to succeed. Let’s talk about how our offerings can benefit your team and help you achieve your goals. Contact jenny@happypeoplewin.com to discuss a personalized package option of services. Your seminars were outstanding and well received by staff, they were “on message,” entertaining and interactive—a tremendously entertaining speaker. Thank you from the bottom of every student’s heart. You were an overwhelming hit with our students. One student said, “The keynote topic and speaker were so good, and so short. I felt like I wanted to hear more.” It seems every student got the message your were sending. I am so pleased that you made an impact on our students and they enjoyed their day more because of you. Jean, you were awesome and the evaluations support it. We all enjoyed your class and the positive impact you made on so many of us in a short period of time. Many thanks to you and the work you do. It is a rare treat for us to be able to schedule so many of our staff for training, much less the caliber of training that you provide. They are singing your praises. Jean is an energy shot and a positive attitude adjustment all wrapped up in a in a package of humor, intelligence, and practicality. She has also received uniformly rave reviews from every person I know who has attended one of her presentations. Jean rocks it out of the park with her keynotes and various breakout sessions. At our annual conference in April she sold out of her books due to the high-demand for her materials. Our conference attendees raved about her! We were told by many participants that Jean was one of the best Keynotes/presenters they have seen. 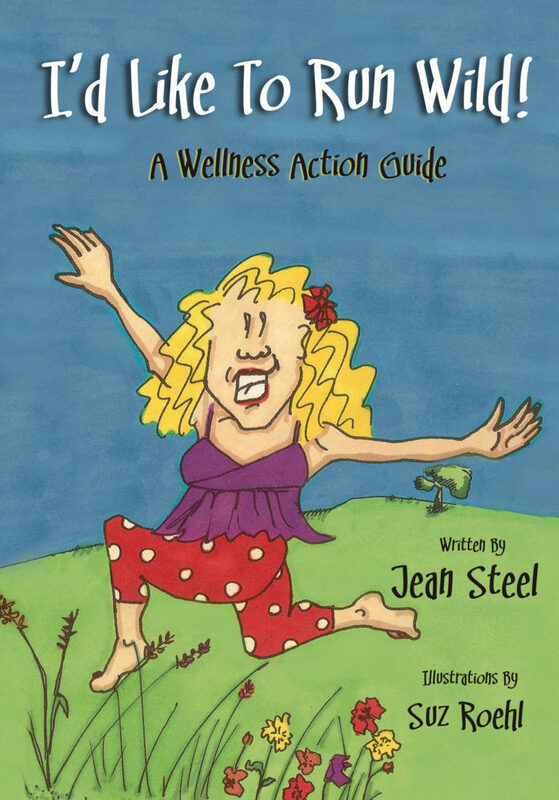 WOW, WOW, WOW….Our conference was a huge success, Jean, largely because of your humor, your energy, and your message. Our attendees loved you in Pasco! Not only am I, personally, looking forward to working with you again, but I would enthusiastically recommend you to all of our LeadingAge state affiliates as well as any other long-term care organizations! Thank you!!!! Contact Jean to book a keynote speaker or an employee training.